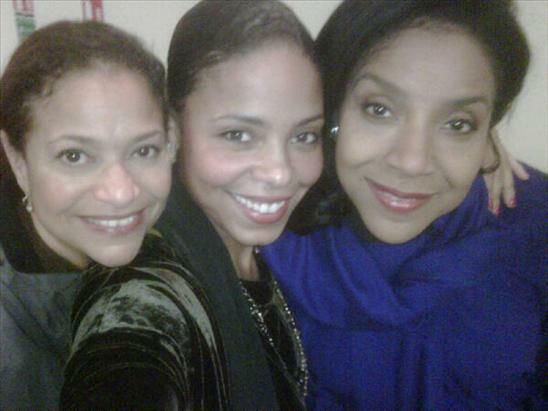 Sanaa Lathan posted this pic of Debbie Allen, herself and Phylicia Rashad on her Twitter page. Sanaa is currently in London doing shows in which Debbie Allen is directing and Phylicia Rashad is playing the part of Big Momma. Here you have 3 beautiful women who have put in quality work in this industry. They get nothing but smiles and Thumbs up from the MO Staff. Sanaa Lathan and Gabrielle Union were in Beverly Hills yesterday and attended the opening of the Judith Leiber Boutique. We have to say that both ladies looked good. We want to know which actress looked prettier?? Are You Feeling This Outfit? ?